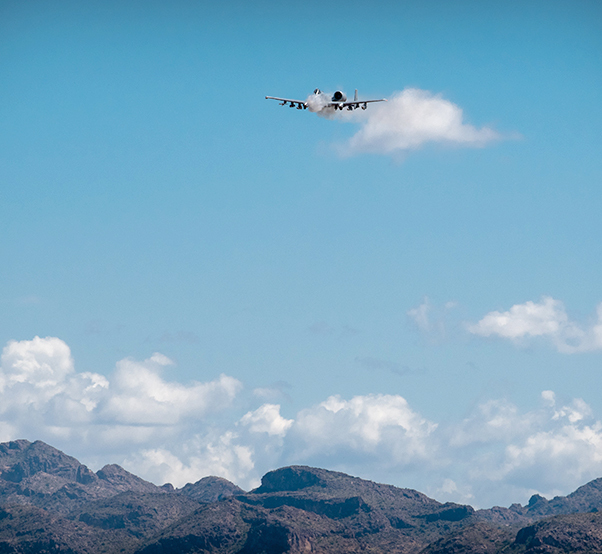 An A-10 Thunderbolt II, assigned to Davis-Monthan Air Force Base, Ariz. flies by a control tower, March 13, 2019, at Barry M. Goldwater Range near Gila Bend, Ariz. 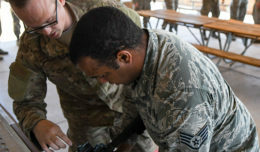 The range is used to conduct flight air-to-ground and air-to-air exercises for pilots as well as training for other career fields. An A-10 Thunderbolt II, assigned to Davis-Monthan Air Force Base, Ariz. performs a panel check over the control tower, March 13, 2019 at the 1.7 million acre Barry M. Goldwater Range near Gila Bend, Ariz. 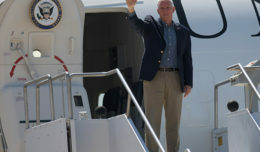 The range is managed by the 56th Range Management Office reidheadquartered at Luke AFB. 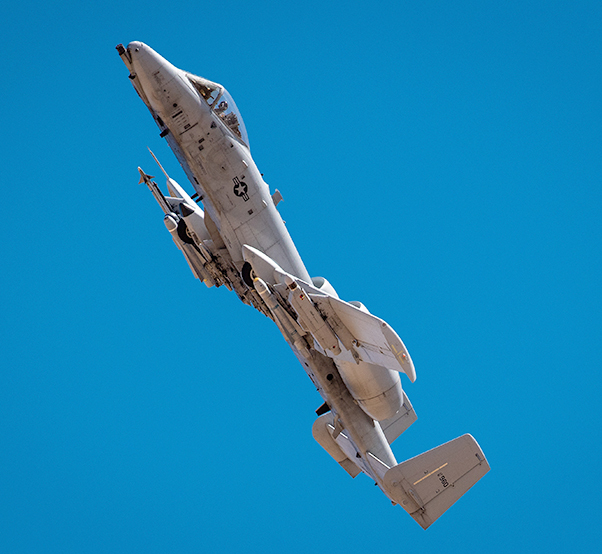 An A-10 Thunderbolt II, assigned to Davis-Monthan Air Force Base, Ariz. practices strafing runs on set targets, March 13, 2019, at Barry M. Goldwater Range near Gila Bend, Ariz. On average, 64,000 sorties train take place every year on the east side of bombing range which is managed by the 56th Range Management Office at Luke AFB. 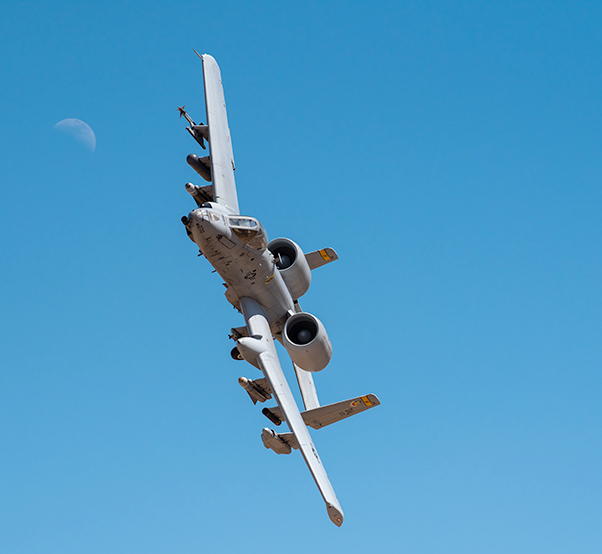 An A-10 Thunderbolt II, assigned to Davis-Monthan Air Force Base, Ariz. conducts a low-level strafing pass March 13, 2019, at the Barry M. Goldwater Range near Gila Bend, Ariz. 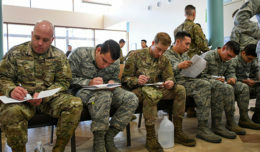 The range has more than 1.7 million acres, where roughly 64,000 sorties take place each year. 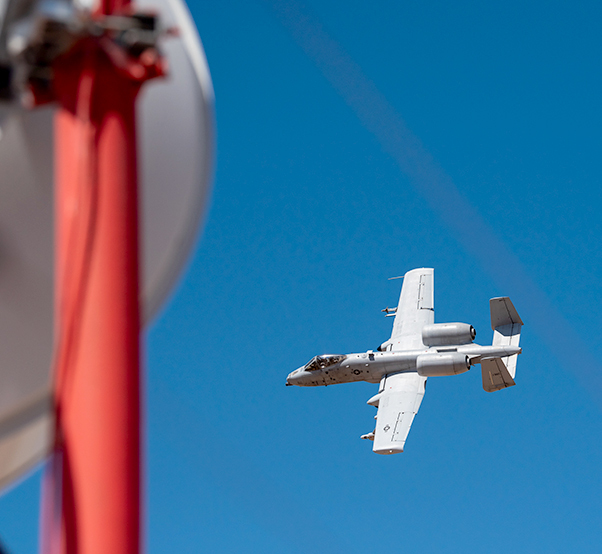 An A-10 Thunderbolt II, assigned to Davis-Monthan Air Force Base, Ariz. climbs after firing the nose-mounted, seven barrel, 30 millimeter Gatling gun at a ground target, March 13, 2019, at the Barry M. Goldwater Range near Gila Bend, Ariz. 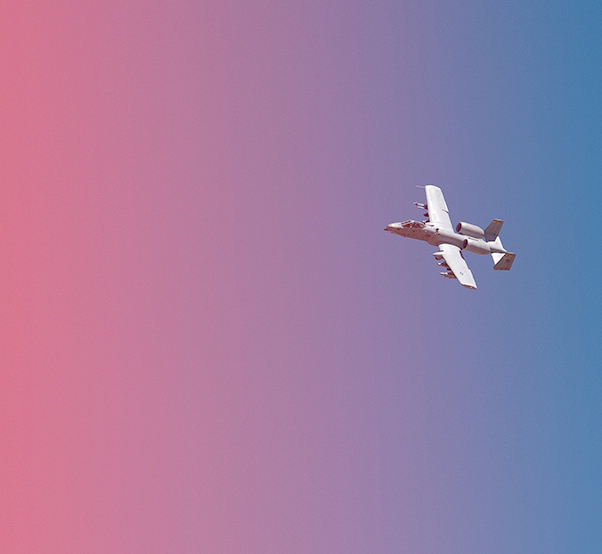 The A-10, nicknamed the Warthog, is primarily a low-altitude, close air support platform that can employ a wide variety of conventional munitions.